Leitrim Heritage News is provided by Sarah Malone, Leitrim Heritage Officer. Have your say on Leitrim’s heritage through the survey. Do you know where Leitrim’s thatched buildings are? What aspects of Leitrim’s Heritage do you value and want to see celebrated and conserved? Leitrim County Council wants to know What’s Your Leitrim Heritage? 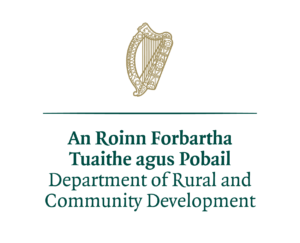 The information gathered in the survey will feed into the new Leitrim Heritage Plan, which will set out the priority actions in Leitrim to be implemented over the next five years. Congratulations to Drumshanbo organic farmer Tommy Earley, who was recently honoured as a local biodiversity champion by Farming For Nature for his contribution to nature conservation and for sharing the biodiversity on his farm with visitors. Leitrim Heritage Officer, Sarah Malone, is commissioning a survey of thatched buildings in Leitrim and needs help with listing all known thatch buildings as part of the project brief. The list below is what is known so far. If there are any more that you know of that aren’t on the list she would really appreciate your help. 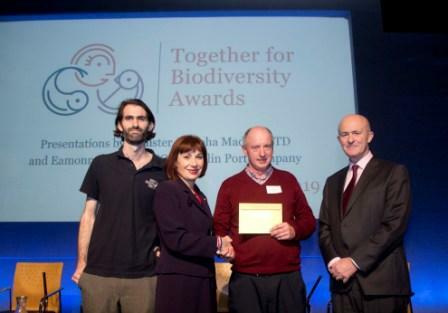 Biodiversity Ireland have produced a digital 36-page newsletter featuring articles from the 2018 award winners which illustrate the wonderful power of community groups in making a difference to our biodiversity. It also contains lots of tips on how to do well in this year’s Local Authority Pollinator Award.